Some Dogs Are Incapable Of Learning. What twaddle! If a dog isn’t learning a behaviour the likelihood is we haven’t communicated the task effectively.  As a dog trainer, much of my time is spent teaching owners to ‘talk dog’ ie how to use their body, gestures and voice to give clear – and consistent – cues to their dog. You’d be amazed how quickly dogs learn when they’re given clear instructions! (The exception is a dog who’s afraid or in pain. For example, many Greyhounds don’t find it comfortable to sit, they’re not being stubborn they’re just bony!) And, it’s worth reminding ourselves that dogs don’t speak English … in fact they don’t speak at all. They can’t tell us how they’re feeling or what they’re struggling with. Try putting yourself in your dog’s shoes – just for a minute – how easy would you find it to pick up a completely new language and culture? How much practise would you need to get things right … every time? Give your dog good instructions and plenty of time to practise and your dog will amaze you! Training Is Only For Puppies. Puppies do indeed need training. But why stop there? We wouldn’t stop sending our children to school after one term so why stop training our dogs? Dogs actually LOVE learning. 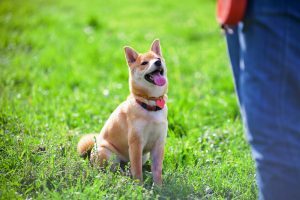 And, it’s been proven that dogs who continue training and learning with their owners are generally much more chilled out – and easier – dogs in everyday life. Working your dog’s mind is a great way to keep your dog out of mischief too; it means he or she has less energy to dig up the garden or remodel the sofa! Plus, training with your dog is a fantastic way to build a really strong relationship together. Good Dog/human relationships are like any other relationship – you get more out when you put more in. My Dog Knows He Did Something Wrong; He ‘Looks Guilty’. Guilt is a human emotion not a canine one. A study at Barnard College in New York found that the “guilty” look people claim to see in their dogs is actually more about the dog reacting to changes in human body language and facial expression. Dogs are masters at reading human emotion, after all they spend much of their day watching us! 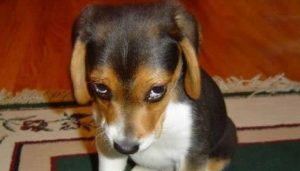 So when a dog looks guilty its usually the dog reading the human’s (angry) expression and thinking “uh oh, something is wrong”. This leads the dog to display ‘appeasement gestures’ – movements which we (mis)interpret as ‘acting guilty’ – in an attempt to placate the angry owner. Common appeasement gestures include: ears back, big eyes or squinty eyes, head bowed, body carriage low, head turned to the side. 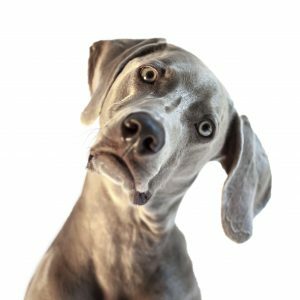 If your dog ‘looks guilty’ and is making mistakes, consider whether your dog actually just needs a bit more training to understand what’s expected or to be able to cope in that situation. Using Food To Train Dogs Is Bribery. While food can be used to “bribe” a dog, the laws of learning theory prove that when you are teaching something new to an animal—any animal, including humans – there needs to be a motivation for “getting it right” and then a reward for doing so. As any Behaviourist will tell you, what gets rewarded gets repeated. In humans, this might mean winning a competition or payment for doing a job. In dogs, food is the reward or payment for doing well. So, while luring (bribery) can be used as a training technique, I’d suggest that food is better used as a reward or ‘reinforcer’ and is presented to the dog after the dog performs a correct behaviour. This way, food isn’t bribery, its ‘payment’ for your dog doing a good job. 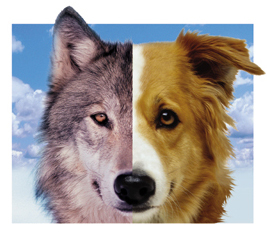 The research promulgating ‘pack’ theory for training dogs was based on watching ‘unrelated’, ‘captive’ wolves – but keeping any predatory animal captive is far from ‘natural’ behaviour; you only have to watch Big Brother to appreciate that! Wild wolf packs are families. There is no battle to gain ‘pack leadership’, this just naturally stays with the parents. ‘Alpha’ behaviour in the wild is concerned with providing food and protection for the cubs; its not an aggressive competition for ‘rank’ – contrary to what a certain Mr Milan might tell you. but it isn’t the same! Dogs are separated from wolves by 14,000 years of evolution and selective breeding; that’s why dogs come in such varied shapes and sizes from Dacshunds to St Bernards. And this domestication of dogs has radically altered dog behaviour from that of wolves. Where wolves can fend for themselves, most pet dogs wouldn’t have a clue how to survive on their own. Dogs & Dominance. It’s unlikely our dogs are seeking to enslave humans. Dogs are fully aware that humans make (virtually) all the decisions from what our dogs eat, when they eat and how often; when they go for walks, where they go for walks, whether it’s on lead or off; what training is done, what toys the dog has access to … and the list goes on. So forget dominance; see your dog for who he (or she) is – your partner and friend. This article is also featured on the Dog Friendly Cotswolds website.